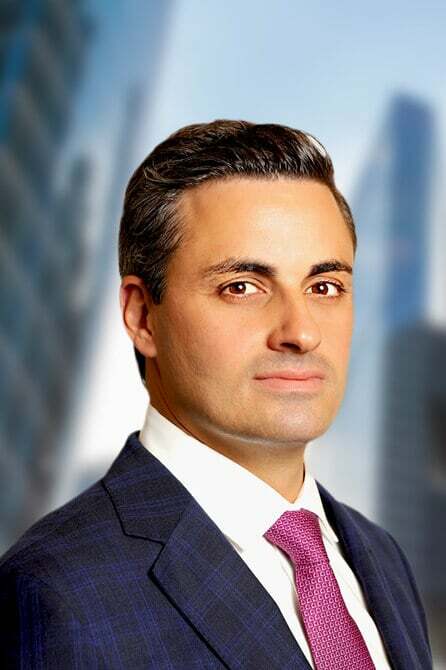 Jack J. Casciato joined Clifford Law Offices in 2018 as a partner after working as a partner at a well-respected defense firm in Chicago. As a defense partner, Jack defended truck accident cases, medical malpractice actions, nursing home litigation, and actions against retailers, construction companies, product manufacturers, hotels and sports arenas. Prior to joining Clifford Law Offices, Jack defended several cases against the firm and tried a significant truck accident case against Clifford Law Offices in February 2018. Jack’s time on the defense side provides him with a unique vantage in representing personal injury clients. Jack also has represented current and former National Hockey League players and coaches at salary arbitrations and in various other professional matters. Jack recognizes that every personal injury case is personal to our clients. In doing so, Jack believes that the center of a successful case is first building a strong attorney-client relationship with the clients he represents. Jack believes that representing people during the hardest times in their lives is not just a career, but an honor to be entrusted to represent our clients and tell their stories. Outside his practice, Jack gives back to the legal community through various pro bono legal projects. Every year, Jack hosts a large charitable dinner for Life Span, a non-profit legal organization that provides legal assistance to women that are victims of domestic abuse and sexual assault. He was also recently nominated to serve on the Ann and Robert H. Lurie Children’s Hospital of Chicago Innovator Board, comprised of Chicago professionals who strive to organize philanthropic events for the hospital. In 2017 and 2018, Jack was recognized as an Emerging Lawyer by the Law Bulletin Publishing Company. In addition, Jack is also a frequent contributor to the Chicago Daily Law Bulletin where he has authored numerous articles on litigation and other issues of interest to lawyers who read the publication every day. It is with great pride that Clifford Law Offices welcomes an attorney of Jack J. Casciato’s caliber and legal acumen in representing plaintiffs and guiding families through complex tort litigation. U.S. District Court, Northern District of Illinois, 2011. Assistant Captain of DePaul’s Varsity hockey team that competed nationally in the American Collegiate Hockey Association (ACHA).